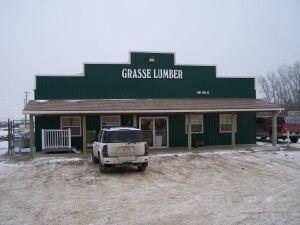 Grasse Lumber Sales Ltd. began on April 11, 1994 when Lowell and Heidi Grasse purchased Betton Specialty Wood products on the corner of 19 St. and 15 Ave in Didsbury. We moved in a 30′ skid trailer that we sold out of for 6 years. We started with 1 employee (Rosemary came with the business); She passed away in July of 2011, but her memory is still with us today. 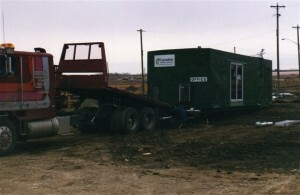 In 1999 we bought 2 acres at 2401-19 St and built our existing 3840 sq ft store. 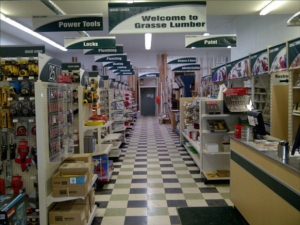 We have been growing steadily ever since, removing two walls to add paint, more hardware, Plumbing and Electrical sections. 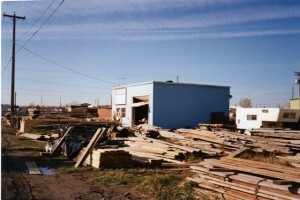 In 2006 we built a 4680 sq ft warehouse with a heated shop.